Welcome to our What’s On 4 Me 2014 Awards! We are delighted to announce that the Winners and Runners Up for our 2014 What’s On 4 Me Awards were announced at the Awards Ceremony at Earls Court on 20th November 2014! Our Awards celebrate the very best adult’s activity providers in the UK – in association with Ideal Weight brought to you by the team behind the Ideal Home Show. Win a pair of Yurbuds Sports Earphones! Yurbuds, maker of the sport earphones guarenteed not to fall out, have teamed up with What’s On 4 Me to offer one lucky winner a pair of these fantastic sport earphones. Each yurbuds earphone model is designed to contour to the human ear for perfect comfort ergonomics and premium sound quality, even while in motion. The ultimate training accessory, yurbuds are sweat proof, water resistant and provide ambient noise protection allowing outside sounds to be better heard. the endurance athlete to the more casual user, yurbuds understand that no two ears are the same prompting the company to launch their top ranges in UK, experience the soft silicone and twist-lock technology to ensure a pitch perfect run without the worry of your earphones falling out or hurting. One lucky What’s On 4 Me fan can win a pair of yurbuds sports earphones. In anticipation of one of the most romantic days of the year, toptable, a leading consumer destination site for restaurant bookings in the UK along with its parent company, OpenTable, Inc. (NASDAQ: OPEN), revealed today their diners’ top 25 most romantic restaurants. The list reflects the combined opinions of approximately 400,000 reviews submitted by verified toptable diners for nearly 4,000 restaurants across the UK. The top 25 shows French cuisine as the hot choice for romance ahead of Valentine’s Day this year, accounting for almost half of the list, while Italian and British are also proving popular romantic cuisines. Despite the growing popularity of Asian food amongst UK diners, there was no room for Chinese, Indian or Thai cuisine in the top 25, with the list consisting entirely of European restaurants. “Romance can mean very different things to different people but a gorgeous meal, perfect service and warm atmosphere make for an undeniably romantic combination. Each of these restaurants offers a different romantic experience, but all are truly best of class,” said Lucy Taylor, head of restaurant relations at toptable. “When it comes to Valentine’s Day, the top restaurants fill up quickly so it is always best to book early. However, many diners still wait until the last minute and plenty of availability can be found on toptable.co.uk. Last year, almost 30% of bookings for Valentine’s Day were made on the 13th and 14th February,” she added. The top 25 romantic restaurants in the UK are generated from approximately 400,000 reviews collected from verified toptable diners between January 2012 and January 2013. All restaurants with a minimum “overall” score and number of qualifying reviews were included for consideration. Restaurants were then scored and sorted according to the percentage of qualifying reviews for which “romantic” was selected as a special feature. The toptable reviews program helps diners find restaurants that best fit their dining occasions. Diners who recently honoured a toptable reservation are invited via email to submit restaurant feedback using an online form. Visitors to toptable can access reviews for thousands of toptable restaurant partners across UK. The toptable reviews program has generated more than 2 million reviews by verified diners in the UK. Make 2013 Your Happiest and Healthiest Year Yet…! Our guest blog today comes from Claire Moore, owner of ‘Believe & Achieve Retreat’ and ‘What’s On 4 Me’ national award winner in 2012 in the ‘Best Relaxation Activity, Retreat or Getaway Provider’ category ! Forget quick –fix bootcamps. Believe & Achieve suggestion is that one of their weekend programmes that will start you on the first steps to changing your life. Described as ‘inspiring’ and ‘empowering’ by clients, each weekend is an exhilarating experience that will show you how to achieve optimum health & happiness. Believe & Achieve offers three weekend retreats so you can find the one just right for you. Two days in the beautiful Peak District. Arriving at 9am on the Saturday you will experience a weekend crammed with fun and informative activities. This includes 2 fat burning sessions, 2 hikes and a canal walk. Food is fuel and the nutrition workshop helps to develop your understanding on what fuel is best for your body to ensure weight loss, increased energy levels and optimum health. Support is provided on meal planning along with recipe ideas and weekly menus. Two additional workshops develop your knowledge on effective goal setting looking in detail on how to set achievable short, medium and long term goals and then identify your plan of action. At Believe & Achieve will fully believe that anything is possible and will show you techniques on developing a positive mind-set in order for you to be confident that you can and will achieve your goals. Add to that great company, tasty filling food and a bucket load of fun we can’t think of a better way to spend a weekend! 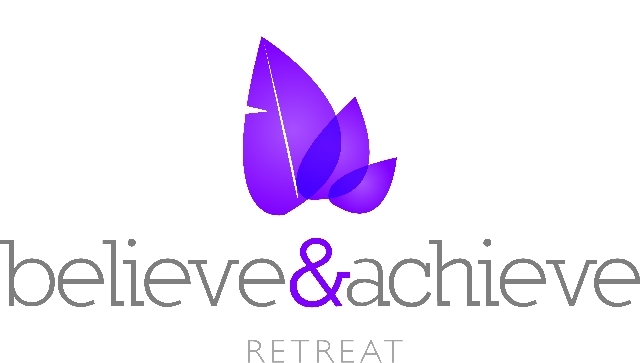 Believe & Achieve are working with nutritional therapist Clare Shepherd from newlifenutrition delivering a retreat focused on health, vitality and wellbeing. This weekend is the start of a 7 day package. We will provide you with a 7 day plan that follows a fruit and vegetable based diet full of cleansing enzymes, vitamins and minerals. This programme will provide your cells with the essential nutrients required for increased energy and healing. Minimum digestion + maximum nutrition = a happier you! Staying with us for the first two days we will talk you through the cleanse step by step ensuring you are fully prepared to complete the remaining 5 days once home. 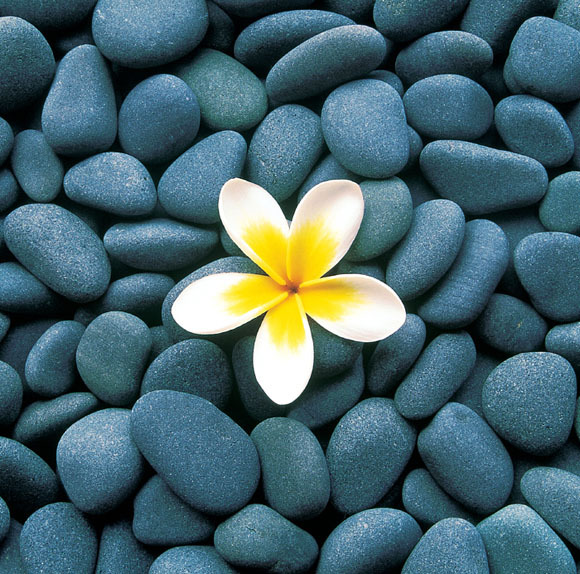 Along with gentle exercise, meditation, positivity workshops, holistic relaxation treatment and cookery lessons this weekend will enable you to relax, recover and recharge. We only take 6 people on these retreats allowing each client their own private room. This is for all you gym buddies who want to push past that plateau and improve those personal bests! • Supplements – what, when, why. Up your knowledge and Power your Performance! Includes 1 night stay at a Mecure St Pauls Hotel, Sheffield, all meals and full use of gym, pool and spa on Saturday evening. 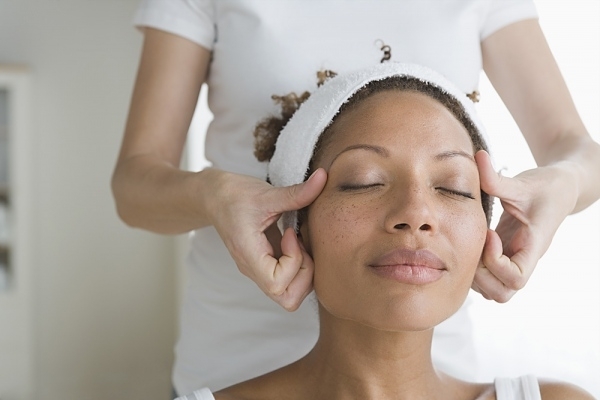 Treating yourself can also be a great way to raise valuable funds for charity! Sarah Cook, from The Beauty Event, has found a brilliant way for people to raise funds for charities whilst enjoying a unique, pampering event. The Beauty Event was born in January 2012 after 5 years of brain storming, tweaking, quizzing all my girlfriends & making a ginormous list of all the beauty and skincare brands that I wanted to be involved! Right from the very beginning I had some very strong ideas about how I wanted the events to be and I believe these principles have remained strong and will continue to do so to provide amazing events for women to really treat themselves, relax, be pampered and feel special with other like minded women. Supporting a charity is a fundamental core of our events and these charities are carefully chosen as they are especially important for women. Our launch event supported the MS Therapy Centre in Bristol , which does an incredible job to support those with Multiple Sclerosis and their families. They not only offer many different therapies including counselling but also support, advice and a place for friendships to form and grow. For our next event we are proud to be supporting Breast Cancer Care . £5 of each ticket will be donated to the charity . Breast Cancer Care helps anyone affected by breast cancer, they bring people together, provide information and support, and campaign for improved standards of care. We aim to offe r a truly wonderful evening of quality beauty treatments, the very best products in beauty, health & well being to sample, try and enjoy (available to purchase at a discounted price), a complimentary private bar & sumptuous chocolate fountain ! There are other numerous beauty treats on offer (complimentary) in addition to each guests booked treatment, for example facials, mini make-up lessons, brow shaping & semi-permanent eye lash flicks ! We make it our mission that each and every guest has a evening to remember & everyone is welcome ! Our fabulous venue Hotel du Vin is wheelchair accessible and a truly beautiful setting for The Beauty Event. So if you like the sound of what we do and why we do it, we still have a few tickets remaining for our next event on Friday 12 October so get in touch! I look forward to seeing you all at our next event ! It’s not often that news reports prompt me to blog – however a recent survey reported that 40% out of 2000 mums surveyed are dreading the Summer Holidays and “the extra childcare and juggling it around work” was named as the biggest issue for 48% of those. “Four in ten mums are dreading the school summer holidays…Difficulties juggling work and childcare…mean millions of mums aren’t looking forward to the break from school at all. Mums worry about the months of July and August in particular because they have to rely on friends and family to look after their children…Other concerns include having to return to a mounting workload after taking time off with children. Half of the 2,000 working mums polled even admitted to reaching a point after three weeks and three days where they actually start looking forward to their children returning to school. The study also revealed that 40% are dreading the start of the school holidays, with the extra childcare and juggling it around work named as the biggest issue for 48% of those. This is of great concern to me, because I’m a working mum and, in contrast to 40% of other mums, I have been looking forward to this summer’s six-week holidays so that I can quality spend time with my two boys who are six and three year old. I’ve been looking forward to it so much that I’ve even invited my seven year old niece to stay with us for the holidays too, so that she can join in with the fun alongside my two boys. The reason that I can work flexibly and that I’m looking forward to the holidays is that I work from home. I manage my business around my life. My business, What’s On 4 Me gives me the flexibility to do that. I’m not taking any time off work and I’m not reducing my work hours, I’m simply working flexibly. So, I was amazed that such a high proportion of mums do not have a flexible work arrangement – especially when many jobs and businesses can be managed from home. If this is YOU – if you are one of the four in ten mums that dread school holidays – then take a look at our What’s On 4 Me work-from-home opportunities. They may not be for you – but they could be? We have both business and employment opportunities – take a look here. Joining our What’s On 4 Team and start preparing for the next holidays – in October. The majority of our UK team are work-from-home mums, so we know What’s On 4 Me works. How wonderful would it be for you to spend every school holiday with your children? Please feel free to share this via Social Media or Email this to friends and family who might need a helping hand to reduce their dread of the school holidays. Come on mums, start looking forward to your kid’s school holidays and spending quality time with them! Tough times? Have you turned your hobby or interest into a Money Maker? According to a survey conducted this week, almost half of employed Brits say their finances are being stretched more than ever before. And they’re not just sitting back and taking it: 2 in every 5 are supplementing the income from their main job with their own money making ventures. And more than half say that without these exploits they would struggle to survive. The survey(1) of 1000 employed adults, carried out on behalf of DIY website builder www.WebEden.co.uk, showed that whilst the traditional car boot provides an income for around one in three, two thirds have turned to selling on eBay and one in ten are even turning to gambling to try and balance the books. And it’s not the lower income earners who are being most affected. Middle class respondents, in positions of business ownership or senior management were almost 10% more likely to be feeling the pinch and starting businesses on the side. Of those who weren’t currently supplementing their income, 1 in 4 said they were thinking about setting up a business on the side. So what’s stopping them? Well, almost half say they struggle to find the time with a similar number saying start up capital is their main barrier. And to underline how harsh banks are with lending these days, one in five said that they have no support for their new venture from their bank managers. If you have turned your hobby or interest into a money making venture then our What’s On 4 Me fans ( www.whatson4me.co.uk )would love to hear your story. Please comment and let us know how you are doing it!